How to wear oversize coat? Today I’m going to attend yoga class, cook some veg food, read the book, that I can’t finish for a long time, devote some time for studying and meet with my lovely friends in the end of the day. In the morning I recieved long-awaited parcel from England. Yeah! My lovely oversized coat has come! I’m so happy, that Asos’ delivery is always up in time. I wore this lovely coat immediately and now I want to tell you some tips, how to use it in your wardrobe, if you have the same. I wear this coat with big cozy sweaters, that are so trendy nowadays. It will be better, if you choose ones of neutral colors, for example, grey or beige. 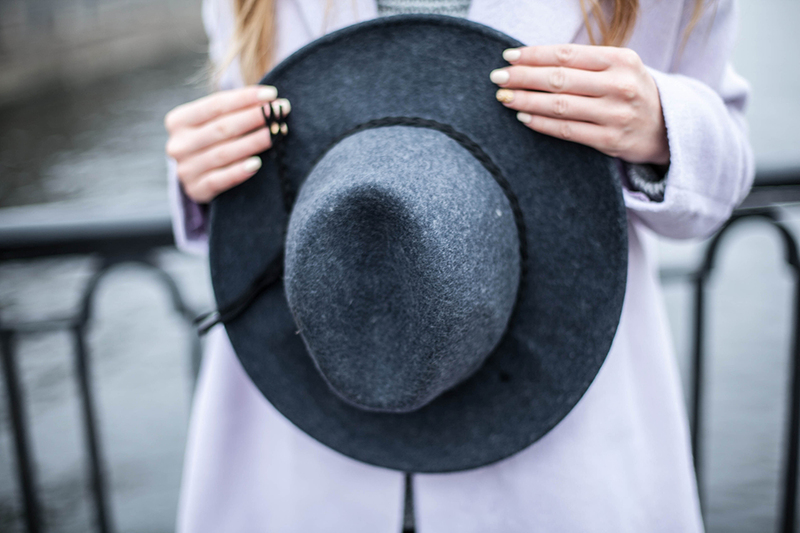 You can combine this coat with such must-haves of the fall/winter 2014/15 as long shoes and cool big hat. Although this coat is suitable for all cases and events, there are some strict rules to follow. First, don’t forget about proportions. If you wear massive coat, let the lower part of the outfit be smaller and not so eye-catching. Secondly, don’t forget about your height. If you are not tall enough, don’t choose oversize, because it will make you look even smaller. I’ve already showed you some examples, how to wear oversize (here and here), but anyway it’s up to you what you will combine it with. It doesn’t matter, what trend you choose (sport-chic, retro-style, classic and so on), all of them are friendly to this type of coat. I’ve chosen hat, jeans and coat ASOS, sweater TheWildflowershop, shoes ASH from TopTop, and bag LoveRepublic.